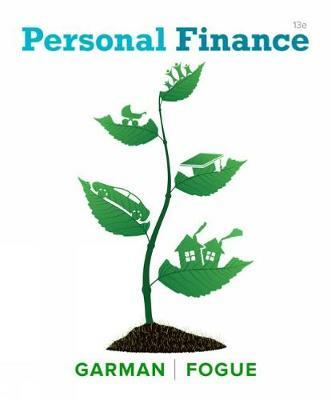 PERSONAL FINANCE 13E offers a practical, student-friendly introduction to personal financial management. Using a structured, step-by-step approach, this market-leading text helps students learn how to save and invest, manage student loans, file taxes, decrease credit card debt, and plan for the future. Real-life scenarios, covering a wide range of financial challenges, enable students to appreciate the relevance of key concepts, and useful advice from personal finance experts helps them apply those concepts in their own lives. Many math-based examples clearly illustrate the critical importance of achieving long-term financial goals through investing. Building on the success of previous editions, the new Thirteenth Edition continues to engage students and focus their attention on critical concepts they need to succeed in class and to manage their finances wisely for a lifetime.